Patient-focused cognitive-behavioral therapy in children with aggressive behavior, which uses group-based social skills training, has resulted in significant reductions in behavioral problems, with effect sizes in the small-to-medium range. However, effects of individually delivered treatments and effects on aggressive behavior and comorbid conditions rated from different perspectives, child functional impairment, child quality of life, parent–child relationship, and parental psychopathology have rarely been assessed. 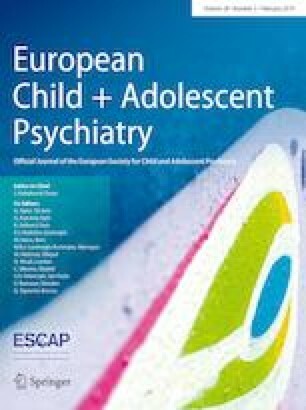 In a randomized controlled trial, 91 boys aged 6–12 years with a diagnosis of oppositional defiant disorder/conduct disorder and peer-related aggression were randomized to receive individually delivered social competence training (Treatment Program for Children with Aggressive Behavior, THAV) or to an active control involving group play that included techniques to activate resources and the opportunity to train prosocial interactions in groups (PLAY). Outcome measures were rated by parents, teachers, or clinicians. Mostly moderate treatment effects for THAV compared to PLAY were found in parent ratings and/or clinician ratings on aggressive behavior, comorbid symptoms, psychosocial impairment, quality of life, parental stress, and negative expressed emotions. In teacher ratings, significant effects were found for ADHD symptoms and prosocial behavior only. THAV is a specifically effective intervention for boys aged 6–12 years with oppositional defiant disorder/conduct disorder and peer-related aggressive behavior as rated by parents and clinicians. The online version of this article ( https://doi.org/10.1007/s00787-018-1144-x) contains supplementary material, which is available to authorized users. The study received financial support from the School of Child and Adolescent Behavior Therapy at the University Hospital Cologne. The authors wish to thank all families that participated in this study. AG.-D. and M.D. receive royalties from publishing companies as authors of books and treatment manuals on child behavioral therapy, and of assessment manuals, including the treatment manual for THAV, which is evaluated in this trial. Other authors have no potential conflicts of interest.